A Zipper Crib Sheet makes your toddlers bed cozy! Finally ready to transition your little one from a crib to a toddler bed? A Zipper Crib Sheet will make the transition a little easier! 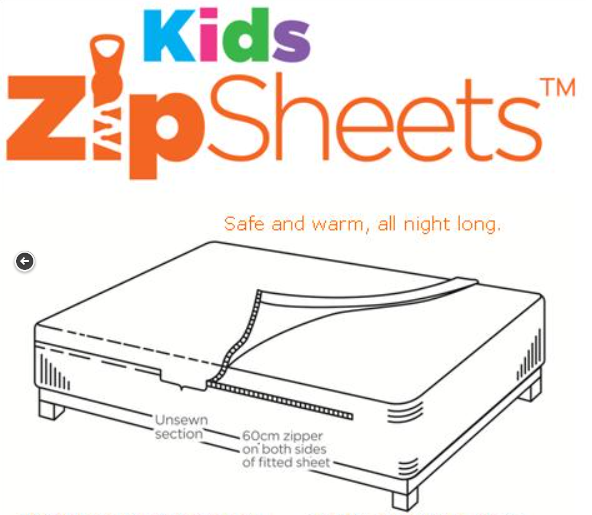 Our zipper bed sheets for toddler beds are attached at the foot of the bed with zippers up each side. There is an area left open for ventilation if your child gets warm at night. 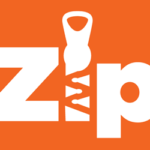 Zip the sides up for a tucked in feeling or leave them unzipped, either way, the bedding stays in place and your child's cover is in reach. These sheets will even keep a small child from rolling out of a toddler bed. Please note, these are not for children under the age of 2. They should be used for toddlers or young children ages 2-5. When your child is ready for a standard twin or full size bed, we have Kids Zip Sheets to fit those beds too! 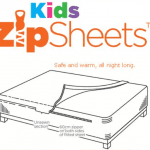 Categories: Kids Zip Sheets, 100% Cotton, Crib Size, Shop. Tags: blue, cotton, crib size mattress, kids, kids zipper sheets, toddler sheets, zipper bed sheet, zipper fitted sheet, zipper sheets crib size, zippered fitted sheets, zippered sheets. 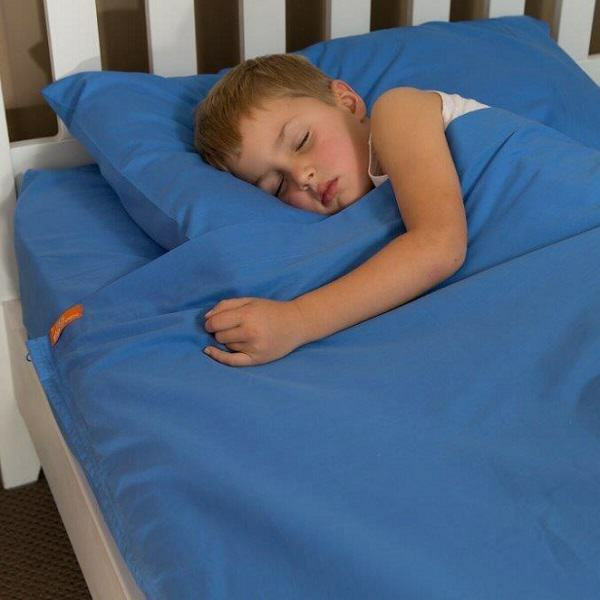 Our Zipper Crib Sheet is the perfect, first toddler bed bedding for boys or girls. They are named crib size because they fit a crib size mattress which is the same size mattress used in most toddler beds. These sheets are NOT to be used for babies, infants, or children under the age of 2. For safety purposes, babies and infants should sleep in a crib with no pillows, top sheets, blankets, or stuffed animals – just a fitted bed sheet. It is not until the age of 2 that other bedding can be introduced.